The War Room movie sparked a fire for many of us to develop our own War Room prayer strategy . 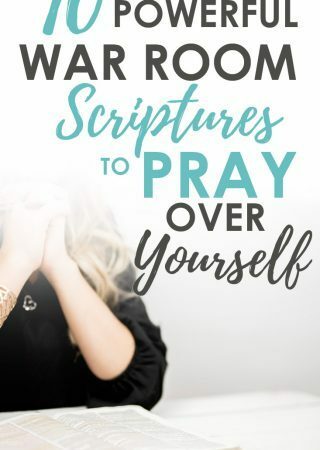 In this post I’ll share my favorite warfare prayers and scriptures to help you set up your own prayer War Room. I’ve also included powerful Scriptures to print and post in your War Room below, so dive in! If I have one goal for this year, it is to deepen my prayer life. Specifically, I desire to do spiritual warfare on my knees. If this is a fight, it makes sense to be intentional about praying powerful war room prayers and having a ready set (think loaded gun!) of war room Bible verses to do battle with. I’m tired of being too surface level, unspecific, and fleshly minded with my prayers. I want to pray kingdom prayers with Spirit infused strength. This only happens by praying War Room Scriptures. The community here on the blog. My IRL communities. My country. I want to take some G.R.O.U.N.D. and there is nothing more powerful than praying God’s word! The weapons at our disposal are strong enough to demolish strongholds and I, for one, am tired of not taking up arms more consistently and intentionally. One of the things I did during my monthly personal spiritual retreat last month was select a few powerful scriptures to pray regularly. P.S. Many of these war room scriptures came from Chapter 2 of Fervent: A Woman’s Battle Plan to Serious, Specific, and Strategic Prayer. Please note the entries below the references are my own war room prayers. I’ve had many readers ask what version of the Bible these prayers are. They are not a version of the Bible; they are the verse in my own words. I include them here to help others who do not know how to begin praying scripture. I’ve also included the scripture the prayer is based on. “Lead me not into temptation, Lord. Deliver me from evil for Yours is the kingdom and authority and glory and I desire to live for Your kingdom, not the enemy’s. 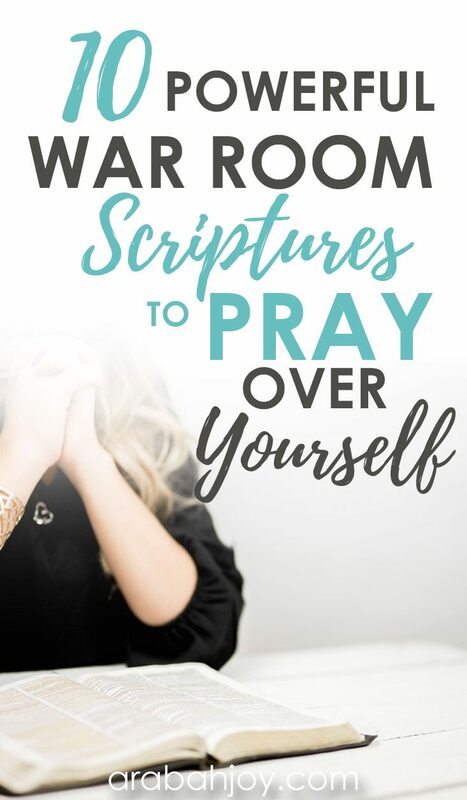 I hope these war room prayers help you develop your own war room prayer strategy and jumpstart your private prayer life. Enjoy! I also love praying specific promises from God’s word. 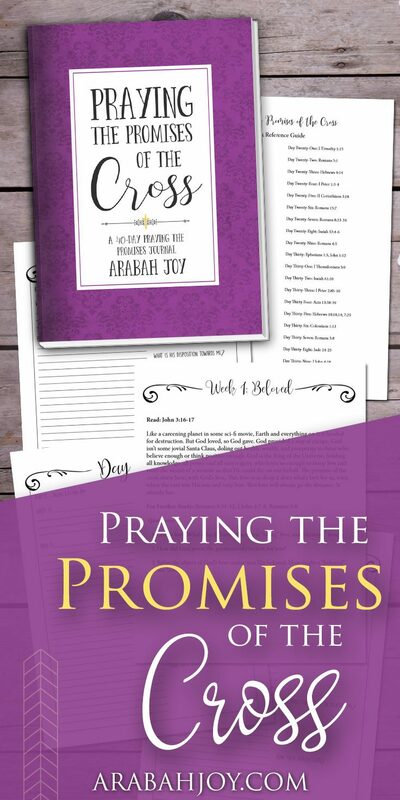 Here’s how Praying the Promises transforms my day. Looking for a spiritual reset? Here’s how to host your own day of personal spiritual retreat. set of 10 Powerful Verses to Pray Over Yourself. 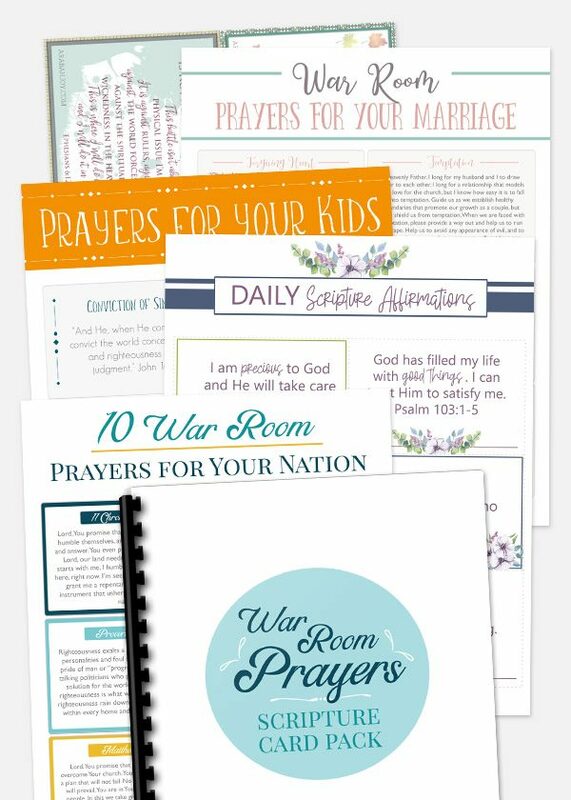 How about a complete ready-made War Room Prayer Card Starter Kit? Grab our Mega War Room Scripture Card Pack (50 Scripture cards) in our shop right here. Love this post! Just in time to start up my New Year wardroom. :-) Thank you for all your lessons and encouragement that you share in order for us to grow closer to the Lord and magnify Him, and not us. May He, who is the One who holds all things together, be glorified through it all! WOw! I’ve never seen a name so similar! Great to meet you! This is excellent and so practical. Definitely sharing! I pray your War room prayers will be packed with power this year! I seriously just saw this movie and these verses are good. I loving the psalm 138:8 verse. It would be cool to personalized them for certain family members. Thanks! YES! I love praying Scripture subbed with mine and others’ names in place of pronouns. Personal promises from God! Sitting here LITERALLY with chills! My church had a family prayer night last night and my Pastor would pray over us all intermittently as the congregation took up praying the remainder of the time. As he was praying I thought to myself “I want to pray like that! I want to know those specific words to use!” Then when I woke up this morning, I began praying to God that He would make me more intentional and specific in my prayer. And I admit that I don’t know how to be as specific or intentional as I would like to be~ I depend completely on Him and His Holy Spirit to make my words intentional. I, too, have been getting weary of my fleshly, surface prayers. Then I log on and see this! Wow! He moves among His children! What a blessing these scriptures are to me! They’ve been printed and hung in my War Room, and I absolutely will be praying the words ~ specifically and intentionally. Make us a House of Prayer, Lord! Thanks so much! Love these verses! 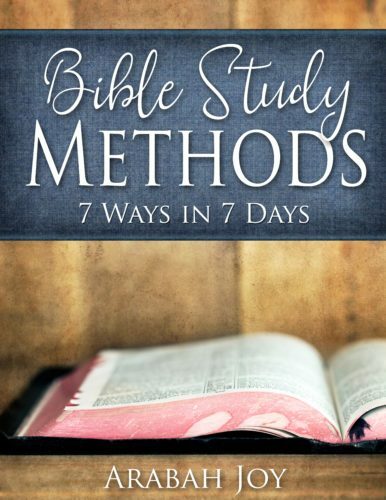 Just started a new Bible study by Priscilla Shirer The Armor of God! It is wonderful! It follows a lot of the movie strategies from WarRoom. I will share these with my ladies! Thank you! Blessings! I love how you’ve richly incorporated your prayer life with Scriptures–even at first glance it adds so much depth and power to what you say. Thanks for the encouragement here! These are great!! Will definitely be coming back to these. Thank you!! Love this and every day have new revelations. I always wondered what kind of refreshing one would get and now I understand and can join in sharing that this refreshing comes and like nothing else, not an 8 hour sleep , cold sea swim, but it comes from within. Hi, my name is Inita I was a parent to 4 now I have 3 and I stumbled across this website after watching the movie war room and i am in so much pain and agony right now and I didn’t know where to start and being that I’ve always believed in god and I know in my heart that his grace and mercy is the only thing that can get me through I decided to reach out on this website I don’t often pray like I know I should I don’t go to church and I don’t or haven’t established a relationship with god and I want to know him desperately I just don’t know where to begin I’m so lost and I don’t know how to find my way I’m trying to fight unwinning battles as well as fighting one with myself I’m weak I don’t have any strength left in me I need spiritual guidance and I can’t do this alone I’ve tried my way and it never works please help me!! Inita, you are not alone with your struggles. Prayer is powerful and effective. To have a relationship with God is to have peace and joy. 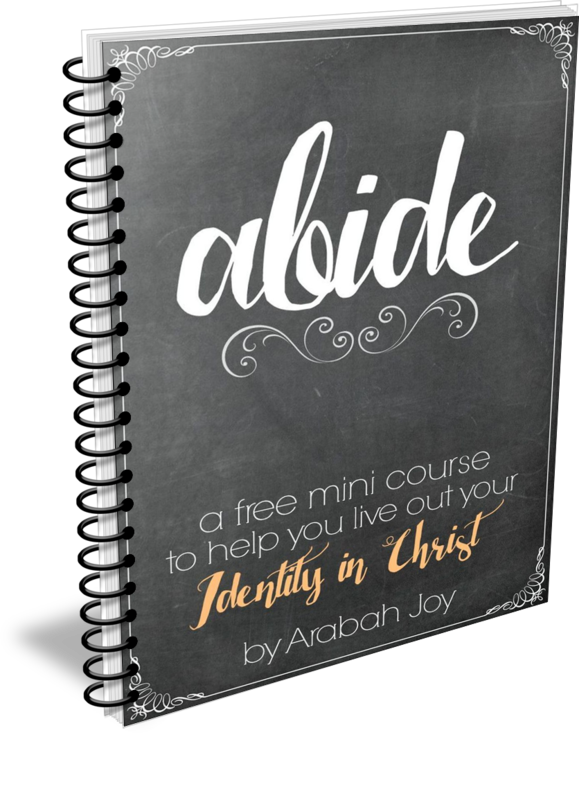 You are surrounded by many individuals who would love to reach out to you and help you build a personal relationship with God for you and your children. Check out my church website to gain support. Love this! I am working on creating a space where I can have a “war room” – it may not be a closet but rather a corner area in my office. I definitely want to add scriptures for the wall, so thanks for giving me this starting point! I haven’t seen the War Room yet do hope to! These are great scriptures to pray over our families and lives! Love these! I haven’t seen the movie yet, but I do love these verses. Thank you for the encouragement. Hung them in my prayer room and passed them on by emails to my warrior sisters! Thank you and God bless you right back. I too want to make my prayers intentional. This is great! Thanks! These are my own prayers based on the scripture. I think that is obvious if you take the time to read them. Thanks for stopping by! I would like to say that this is a very interesting article. 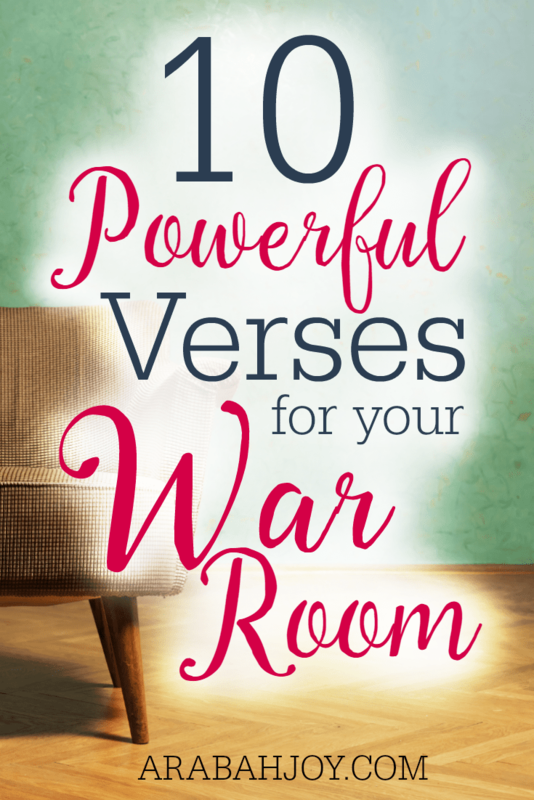 I love the scriptures that you have included for the war room. I just started doing this and I must say that it puts me in a peaceful place and helps me feel closer to God. God bless you all! You are a blessing. Obedient. It is obvious. He is using you just as you are. In your warroom and out. He has equipped you and you are doing a good work. Thank you for just being you and the demonstration of His love as you are using the gifts and talents, that He has given you. Today is my third day of fasting and prayer at my church, our congregation watch the movie, and after that my Pastor lead us to fast and pray. Today I’m just starting my day and was praising and ready to read my devotional and at first I thought it was a mistake, cause I press Pinterest button instead of my Bible app, but when I continue reading it all, I understood this was the Lord leading me to read. And I bless you for your obedience, cause God is definitely using you to bless us! I’ll be praying for you, for your family and you’re ministry! To Him be all the glory!! ?✨?✨??✨?✨?✨? So sorry for your loss. My Pastor Levi Lusko and his wife Jennie have four daughters, Alivia, Daisy, Clover, and Lenya who is in heaven. I would like to recommend reading his book Through The Eyes of a Lion (Facing Impossible Pain Finding Incredible Power). There is Hope in Heaven through Jesus as your Savior. I will be praying for you and your family. Hi, I know it is no accident that I stumbled across your pin on Pinterest. 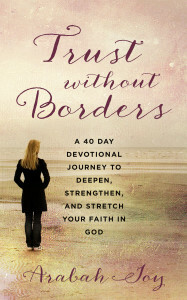 This is just what I was looking for …I too have been longing for a deeper prayer life and more purpose in my life. Thank you for what you do and may all the Glory be to God! Just beautiful. Just what I needed. So thankful I was led to this. The Lord brought this to me when I was hurting and needing something to cling to. I have the start of a Warroom but this will make a great addition for giving me more direction and purpose in my prayers. Thank you Jesus for what you are doing. What empowerment! You have confirmed the platform for strengthening and expanding His Kingdom on earth! Intentional praying was our sermon’s title just 3 weeks ago at Church! Prayer and Praise for our Almighty and Awesome God! He is a Loving and Living God who abundantly blesses us with His Mercy and His Grace! Hallelujah! I made a similar commitment this year – deepening my prayer life throughout my day and getting better at praying scripture. Thanks for sharing! Always say “I don’t do Facebook” but check it out every now and then so I believe this was intended for me to see the positive social media use it can have. I too have wanted to have a stronger prayer life and this will help me start one. Than you so much. I’m so glad I found this site! It has been very inspiring and helpful. Thank you for doing this! May God bless you! Thanks for the this. I needed it. Very powerful. I’m going through a tremendous battle right now facing things you never dream you would ever be forced to face. I was scrolling through scripture quotes on Pinterest before falling asleep and came across this. It’s as if you wrote those scriptures from MY heart! I so want only to know my Jesus more and more. God bless you for sharing this. Praying for you today Cristie! Keep holding on to Jesus! I started following you at a very difficult time in my life, I was living in such sin and darkness.. But God being the LOVING father he is, NEVER took his eyes off me, and wooed his child back to him!!! Joy unspeakable! It’s time to put away sin and follow our Heavenly Father, for we know not when he’ll return…. Thank~you for you wonderful and inspiring words, I look forward to them! Praise GOD! For His glory and honor, and His alone. I just prayed all of these prayers, and I will continue to do so. The enemy is attacking so many lives as if he is desperate. I truly thank GOD for His Word and it’s power in the lives of His children. Thank you for your ministry. GOD Bless. these are truly excellent, thank you for sharing!!!! In your statement, “I want to take some G.R.O.U.N.D. in 2016.” Does the G.R.O.U.N.D. stand for something? I am doing a war room bible study and these verses will very helpful. thank you for this post. God’s timing is always perfect! Thank you for posting these scripture references. When we pray His word back to Him in faith believing things happen. Anticipating answered prayer! This is war! The power of God is awesome! Thank you for allowing Him to use you to help others with developing a stronger prayer life. Hi, I have recently watch the movie and I so touched by it. I admit that my life is a disaster, I realize I really need God but I just don’t know how to ask. I’ve got so many problems, I miss God so much. I’ve been trying to use LoA too. If there’s one thing that I would like to fix in my life that would be my love life and relationship, my love life is a misery and it’s killing me slowly. Just like the main character of the movie said “I don’t really need more money, I only need love” I always lose the war in this area no matter what I do and how much I sacrifice for it, I need Jesus to help me. Could you be so kind to teach me how? I desperately need it. If you would like to accept Jesus as your LORD and Savior, just say this and mean it with all your heart,”Dear Jesus, I believe that You died on the cross for our sins, and rose from the dead 3 days later. Please forgive me for all my sins, and come into my heart and change my life. LORD, I want to take You more serious. In Jesus name I Pray Amen. Also,talk with God everyday,and lots of times throughout the day,thank God,Praise God,believe God and talk to Him about your feelings and God hears it,talk to Him like He’s your Best Friend,just also remember that He is God also. God bless you. My email is [email protected] if you need to talk. God bless you ? I would like prayer for my family. Transitioning temporarily into another country for his job. We are both believers and he will go first. I am needing lots of prayers my way. Thank you for what you do and may the Lord richly bless you!! Good morning to all I want to think whoever is behind this war room this some powerful prayers and I really need it right now I was injured on my job is trying to deny my claim it is like a battle i am right now but i have to keep fight for 5 months now and I’m just to the point I wanted to give up and I know I got to keep fighting I will not allow the emeny no joy .thank you for this I really need this. God bless you. thanks for the scriptures.God is amazing,faithful and true! Such powerful scripture prayers! Thank you for sharing these…ABSOLUTELY perfect for the war room indeed! Thank you for posting this. I look forward to putting them into my war room.. I have the book by Priscilla Shifter but I haven’t finished it. I will resume where I left off. Thank you. I definitely need prayer for my family and myself. GOD bless you. Thanks for these powerful verses. I “think”, most times in my daily life that I’m to busy to read the bible. I’ve always Loved God. In my families old tradition, we have always had a bible laying on our night stand table by the bed. Everyday I awake; I glance at it & think… I really need to read this book, but how long has it been really? I can’t even count. It could’ve been days, weeks, or years. I don’t now how or why I’ve fallen off but I have. I pray everyday, but of course thats not enough. This is AWESOME! Such a powerful post! I will make these my prayers for 2017. Your blog is so uplifting and so encouraging. I need to hear these things you say-please never stop saying them! Thank you! Thanks for sharing. I will start using the verses above to pray for myself and my family. My home is on fire right now and I’m at a crossed road trying to figure out if I should move on without looking back or stay in the whole mess. There is infidelity with various women, drunkenness, and roaming the streets at night. I had to leave my job and my comfort zone to be with my husband in a different country when I saw that my husband had changed ( He used to be a prayer warrior). I am weak in praying now because I feel nothing is changing. My home needs a miracle and the healing of God! Thank you for your continued inspiration. What a blessing you are. Love this. Are there printable cards? Thanks! Is no trust! An iron has gripped my soul! I despise him for what he has done to me . I need help, I feel like I am heading for a breakdown. My husband has a computer at work and Lord only knows what he has stored on there. Please pray for me. I definitely need a war room for my family and my own redemption. . This caught my attention. It’s refreshing to find others who understand the importance of Scripture, and prayer, in the battle against the enemy, sin, and evil in this world. Thank you for the inspiration. Good Morning— wondering if this set of cards is available for purchase–? And perhaps a ‘Kids’ set too—-?? Thank for the beautiful scripture cards. I can’t wait to print them. 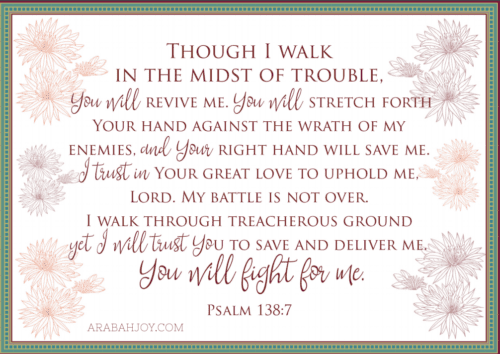 As someone who wakes up some days having to battle old inner foes, Psalm 30:1 has become more than a prayer, it has become a daily affirmation.